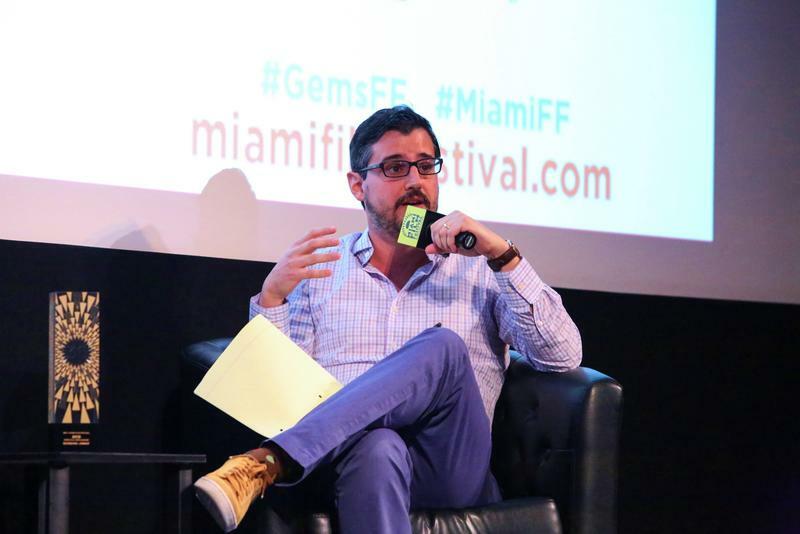 Nicolas Calzada is a writer/director of feature films and commercials, as well as a writer for American television, with 32 episodes to his name, including 11 premiering this summer. He is currently the sole writer for the hit docu-series DRUG WARS, the highest rated show on the Fusion Network, now in post-production on its 4th season. He has written several feature film screenplays currently in development, including SUNSET BAKERY, which was a winner of the Columbus-Vague Production Grant, an award hand-picked by legendary filmmaker Chris Columbus (Harry Potter, The Help, The Goonies, Home Alone), who is a champion of the project. Nicolas received his MFA from NYU’s graduate film program and a BA in History from Yale. His short films at NYU, and since, have won multiple awards and screened at prestigious festivals on four continents, including Palm Springs (Jury Prize Winner), Clermont-Ferrand, Havana, Encounters South Africa, and Miami International. Waking Olguita was also nominated for NYU’s highest prize, the Wasserman Award. He has directed numerous commercials and is on the roster of directors for the production company Paradiso Pictures (clients include Disney, Toyota, Nickelodeon, Mountain Dew), having previously directed for Magnet Filmworks (whose clients included Johnson & Johnson, Old Navy, & Minute Maid). He has also worked extensively as a Producer, Editor, and on the camera department of over 40 short films (including numerous Sundance Award Winners) and 250 commercials. Nicolas and his wife have traveled the world, usually designing itineraries around food, which has not done wonders for his cholesterol. Against their better judgement, they're raising their daughter to be a Mets fan, like her long-suffering father.